In the article by Barak Ravid, the confusion, despair and hopelessness by the collaborationist PA seems clearer than ever. For two long and useless decades, the PA has built its position of the sand of US and Israeli promises, so it is now conditioned too deeply to rethink its inaction and passivity. It meant the PA is reactionary in the deepest sense of the word – it always reacts, almost never initiates. Even when a year ago it came up with the UN recognition policy, it immediately started pulling back, even before the massive US pressure was being applied. If you build on Israeli good will, what can you expect? The only real goal of Israeli policy since 1967, was and stays the retention of control over the whole of Palestine, directly or indirectly, while trying to get rid of its people by a variety of means, all illegal. Failing to ralise this, or playing along with it, as the PA has done, is a suicidal policy for Palestine to adopt. In the meantime, the blockade and attacks over Gaza continue unabated, with misery in the area seemingly without an end in sight, and with no international action to bring it to a close. The hopes some have had since the start of the Arab Spring and the fall of Mubarak in Egypt, seem to have petered out altogether – while affecting some real changes in Egypt, Mursi seem to have a blank spot when it comes to Gaza. He speaks well on the subject, but avoids any action to remove the blockade. Various reports below describe the desperate situation in Gaza. Some 19 years after Oslo, both the PA leadership and the average Palestinian have lost hope in the peace process. RAMALLAH – On Monday, Yossi Beilin sat alongside Palestinian Authority President Mahmoud Abbas in a convention hall in Mukataa, and waxed nostalgic. “We used to work without the Americans,” he said. “Clinton heard about Oslo two weeks before the White House ceremony.” Abbas, a bitter smile on his face, corrected him. “A week before,” he said. Some 19 years after that historic event, the despair in Ramallah has never seemed deeper. It is ingrained in the faces of Abbas and his advisers, who met on Sunday with the delegation of the Geneva Initiative, which include Knesset members, mayors, and political activists from Labor, Kadima, Meretz, and the Likud. MKs from Shas had also planned to attend, but cancelled at the last minute. On the eve of elections, a picture with Abbas could only do damage. The Palestinian delegation was at a loss. Last year’s United Nations Security Council move failed, and the move planned for this year isn’t garnering international interest. When Abbas spoke before the UN General Assembly two weeks ago, the hall was half empty. The average Palestinian has also lost hope in the peace process. He’s given up hopes of ending the Israeli occupation, and has directed his frustration over the economic crisis at Abbas and his Prime Minister, Salam Fayyad. The upcoming Israeli elections only served to enhance the depression in Mukataa. As the Likud campaign focuses on the Iranian issue, the Labor party on the price of cottage cheese and cucumbers, and as Yair Lapid pushes the amorphous idea of “a new method,” the Palestinians understand that they do not interest the Israeli public, or its elected officials. “Never have I felt more desperation in the Palestinian streets than I feel today,” said Yasser Abed Rabbo, the secretary of the active committee of the Palestinian Liberation Organization, and the frustration could be seen on his face as well. “When I talk today about the two state solution, people look at me like I’m crazy, like I’ve said that [Foreign Minister Avigdor] Lieberman is the Secretary General of the Geneva Convention,” continued Abed Rabbo. The head of the Palestinian negotiation team, Saeb Erekat, doesn’t stop smiling, but displays the same despair. He says that he recommended to Abbas that he return the keys to Netanyahu. “The Palestinian Authority is broken anyway, so we might as well make it official,” he said. Abbas is in despair over Netanyahu. “He has ruined the two state solution,” stressed Abbas. “Now there are more and more Palestinians talking about one state.” He is steadfast in his determination to approach the UN General Assembly, to attain observer-state status for Palestine. Apparently, this will happen in late November. The day after, he told the MKs, he will resume negotiations with Israel, without any preconditions. When asked of his opinion on a possible return to politics for former Prime Minister Ehud Olmert, and why the two of them didn’t reach an agreement, he places the blame on internal Israeli issues. He mentioned his constant contact with Olmert, and even revealed that he called him two weeks ago from New York. One of his advisers said that the conversation focused mostly on praising the former prime minister for his interest in peace, but not in politics. But the evidence of Abbas’ longing for Olmert’s return to politics rests on the fact that he did not hesitate to alter history concerning the negotiations they held in 2008. In an interview with the Washington Post in 2009, Abbas said that an agreement wasn’t reached because the differences between the two positions were too great. The MKs and political activists urged Abbas to try and influence Israeli public opinion before the elections. “The peace process is not playing a central part in these elections and that’s a bad sign,” said MK Daniel Ben Simon (Labor). Abbas listened to the Israeli guests, but grew impatient as time went on. He lifted up a small booklet that was distributed to all of the attendees at the meeting, and proceeded to provide details on the Palestinian stances on every issue pertaining to the peace process. “What is unclear?” he asked, while waving the booklet in the air as anger, frustration, and doubt continued to mount. “Look at it. Netanyahu should look at it. Anything else, I can’t clear up. The ball is in the Israeli court. If you want two states, act accordingly,” said Abbas. Four Israeli air strikes on the Gaza Strip at the weekend killed five militants, Palestinian officials say. Two militants died and two other people were injured near Deir al-Balah on Sunday, ruling Hamas officials said. Israel’s military said it had targeted a “terrorist rocket squad”. On Saturday evening, an air strike killed the leader of a Gaza-based Salafist group and another militant in Jabalia and, a few hours later, another militant was killed in Khan Younis. The Salafist leader killed in Jabalia, Hisham al-Saedni, was hit on a motorcycle. Israel said it was responding to a rocket attack on southern Israel. 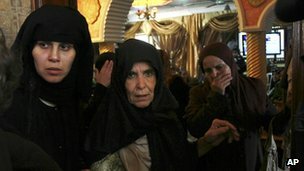 Saedni, 43, is said to have headed the Mujahideen Shura Council. On Friday, a rocket apparently fired by the same group landed in the courtyard of a residential building in the southern Israeli town of Netivot. No-one was injured. There has been a flare-up in violence across the border recently, with Palestinian militant groups firing rockets into Israel and Israel carrying out a series of air strikes against targets across the Gaza Strip. Israel has spent seven decades in rewriting the history of the Middle East, not content with having changed its course. The Mizrahi Jews, many who have been residents of Palestine for hundreds of years, and well integrated into the region, have not been amongst the adherents of political Zionism originally, which was a European phenomenon, historically based on the masses of Jewish proletarians living in Poland, Russia and some other East European countries. When in 1948 Israel finds itself in urgent need of labour and canon fodder after the war, great effort is being put into alienating Arab Jews living in the various Arab countries of the Middle East from their environments, so as get them to leave and immigrate to the newly-founded state. In this, all mans are thought to be fine, including throwing bombs into Jewish synagogues and meeting places, in order to frighten the Jewish community into leaving, such as was the case in Iraq, where Jews have lived for over 2500 years, well before the Arab conquest of the region. The most important religious and juridical creation of the diaspora – the Talmud – was written and finalised in what is today Iraq, after all, and Jews were in no hurry to leave Baghdad – they have been fully integrated into the society, and had actually formed the bulk of the Iraqi middle class, as well as its most progressive sections, such as the Iraqi communist party. This is a historical would still festering in Israel; after their arrival in Israel, the Jews from the Arab countries were incarcerated in transit camps (Ma’abarot) for decades, and have suffered systemic and rabid racism, including, in the case of the Yemenite Jews, the forced removal of their children, which were passed to adoptive Ashkenazi families. The ‘heritage’ of the period is still rife in Israel, with much frustration and anger very much alive in the Mizrahi communities across Israel, where the past suffering has produced the still current second-class citizenship of the so-called development towns. The leadership of Israel has been exclusively Ashkenazi, though the Mizrahi Jews are the majority within the Jewish citizens of Israel, a situation which continues to fire anger and foment dissatisfaction and disaffection in Israel. The power structure of the state is not built on class, historically, but on ethnicity, with Ashkenazis ruling the roost, the Arab Jews being the majority Jewish ethnicity coming well below them, then the Ethopian Falsha black community, with the Palestinian citizens of Israel (some 21% of the total) making the bottom rung. Obviously, the rest of the Palestinian people are people of no status whatsoever, without citizenship, standing, or human rights, or the protection of the law. Instead of treating this community of Jews from the Arab countries as the potential bridge towards the Arab peoples around Israel, and thus building peace and reconciliation, they were treated as inferiors, and as partly belonging to the ‘hated enemy’, thus closing an important gateway into the future. Now it seems that rewriting history even further is necessary, in order to cover up the crimes of the past once again. 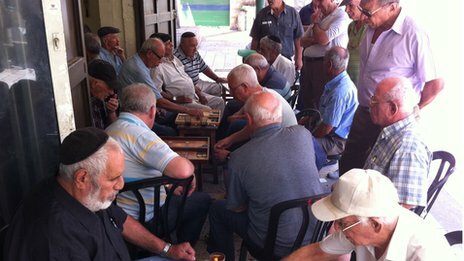 At the edge of Mahane Yehuda market in Jerusalem, elderly men sit playing backgammon – or shesh besh as it is known locally – wearing looks of intense concentration. It is a scene which can be found in coffee shops across the Middle East, such as in Egypt, Syria, Yemen and Iraq. In fact many of the men here are Jewish Israelis who originally came from those Arab countries. Another man, Baruch Cohen, left Qamishli in North-Eastern Syria in 1963. 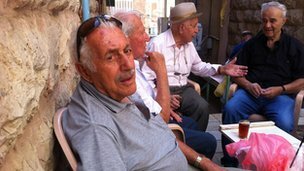 He tells me he was 13 when his father led a group of 97 Jews out of the area. They left secretly to avoid unwanted attention and were helped across the border into Turkey. From there safe passage to his new home was arranged by the Jewish Agency, a government body which brought Jews from the Diaspora to live in Israel. According to Israeli government figures, 856,000 Jews fled Arab countries in four years after the state was created in 1948. Officials say they lost billions of dollars’ worth of property and assets. A new government campaign aims to raise awareness of their plight. More controversially it aims to equate it with that of the hundreds of thousands of Palestinian refugees who lost their homes in Israel. It insists that both cases are part of the same core issue that must be addressed by any future peace talks. “The problem of refugees is probably the most thorny and painful one. Everyone agrees without solving this we won’t be able to achieve true peace nor normalisation in the Middle East,” says Deputy Foreign Minister Danny Ayalon. Mr Ayalon spoke at the first special conference on the issue at the UN headquarters in New York last week. He suggests that an international fund could be set up to deliver compensation for both sets of individuals. Palestinian leaders though are angry at the “I am a Refugee” campaign, which they see as an Israeli attempt to create a new obstacle for any future peace efforts. “This is not an issue in the negotiations that we agreed on with them – they include Palestinian refugees, Jerusalem, borders, settlements, water and security,” says chief Palestinian negotiator Saeb Erekat. He suggests Israel’s timing is designed to coincide with the latest plans to ask for the UN General Assembly to admit Palestine as a non-member state. This will enable the Palestinian leadership to pursue Israel through the international courts. “These people are destroying the two-state solution and that is why we are going to the UN in order to preserve it,” Mr Erekat says. The refugee issue has proved so difficult that it was put off by the two sides to be tackled as part of any eventual final status discussions under the Oslo Accords in 1993. It has been a key Palestinian grievance since 1948. Palestinians argue that their “right to return” is enshrined in UN resolution 194 passed that year, which states that “the refugees wishing to return to their homes and live at peace with their neighbours should be permitted to do so at the earliest practicable date”. Israel says that such a move would obliterate the country’s Jewish majority. While Jews from Arab countries are now naturalised citizens of Israel, many Palestinian refugees remain in camps; most are in the West Bank, Gaza, Jordan, Lebanon and Syria. 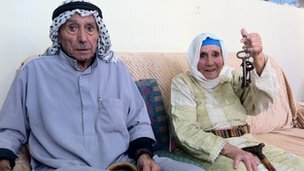 At al-Jalazun refugee camp on a rocky hillside near Ramallah in the West Bank, 86-year-old Ahmed Safi lives with his family in a small, overcrowded house. His grandchildren have just arrived home from the local school run by the UN agency for Palestinian refugees, UNRWA. His wife, Umm Hazem jangles some large keys, which she sees as symbols of her right to return. “You see these? I grabbed them from the cupboard and took them with me. I couldn’t take anything else as I had my new baby in my arms,” she says. Analysts warn that the latest moves by Israel, to place the Jewish refugee issue firmly on the agenda, and by the Palestinians to change their UN status are likely to further delay any resumption of peace talks, which stalled nearly two years ago.